Campfire site for visitors of the small island in the Kolga Bay. Amenities Outdoor fireplace, a shelter with information boards, picnic table with shelter, dry toilet. Dry firewwood can be found near the campfire site in piles, they must be cut. 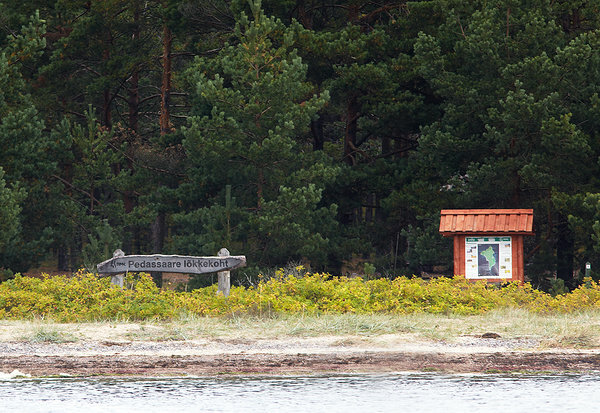 the Environmental Board: +372 680 7438, info@keskkonnaamet.ee. Driving directions The campfire site is on the western coast of Pedassaar island. The nearest ports are at Salmistu and Kaberneeme.